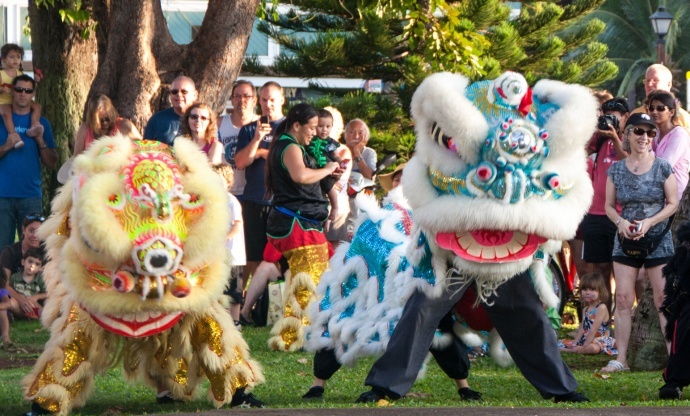 The Lahaina Restoration Foundation will be presenting a full day of activities celebration the Chinese New Year on Friday, Feb. 20, at Wo Hing Museum in Lāhainā. The event will be held from 10 a.m. to 7 p.m. with no admission charge. Au’s Shaolin Arts Society will herald the Year of the Sheep with a blessing beginning at 5 p.m. amid exciting lion dances at the Wo Hing temple entrance. Lai see envelopes will be handed out to feed the lions for good luck. 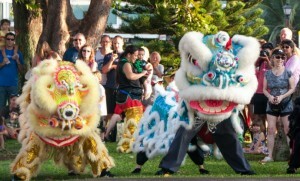 The lions will parade south down Front Street after firecrackers are lit on the Wo Hing lawn. The museum will offer activities beginning at 2 p.m., when Dr. Busaba Yip Douglas will share the story of the Chinese New Year. She will be followed by special guest, Dennis Ryan, who will be talking about his jade pottery, bronze tomb artifact, and coin-currency collections on display. From 3 to 4 p.m., there will be a Chinese calligraphy demonstration, followed by a presentation on the art of Chinese knot tying by Brenda Wong until 5 p.m. Traditional Ehru string music will be performed by Hong Zhou from 4 to 5 p.m. Traditional Chinese New Year foods will be available to purchase between 4 and 7 p.m. The events will draw to a close 6 p.m. with another New Year story by Dr. Yip Douglas. Au’s Shaolin Arts Society lions will continue their parade along Front Street amid the snap of firecrackers until 9 p.m. to bring in the new year. For more information, call the Lāhainā Restoration Foundation office at (808) 661-3262 and visit LahainaRestoration.org/events .